I used to think socks were socks. Some were more comfortable than others and some provided a little more cushion, but overall, they are socks, chosen based on color, height, and size. The Elite Performance Athletic Crew Socks changed my sock perception! 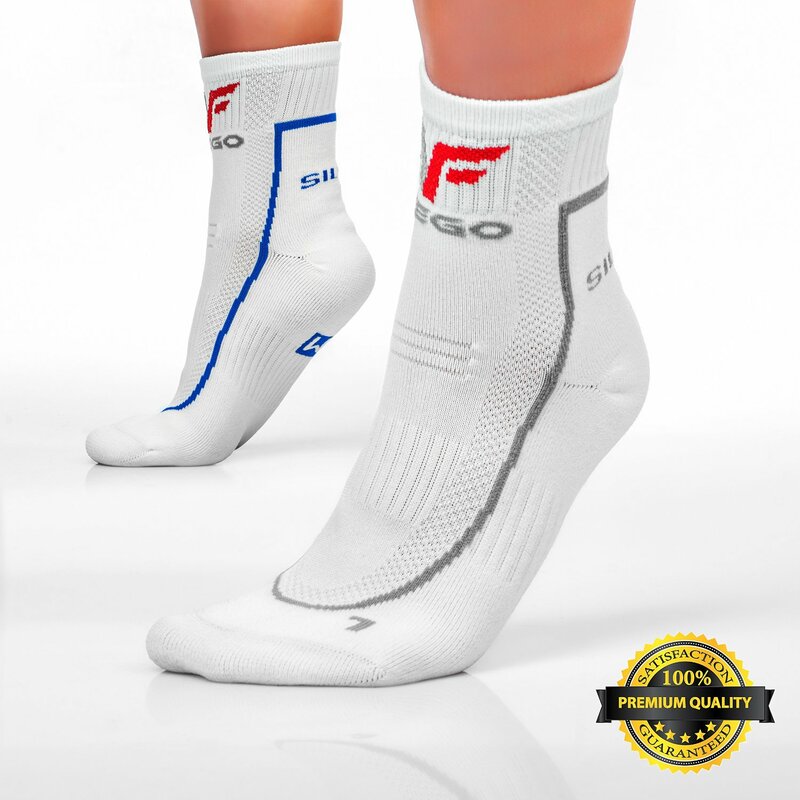 Would you like to win a free pair of the Performance Athletic Crew Socks? Enter our Giveaway–just subscribe to our email list! I don’t play sports, but I am a person who loves going barefoot, so when I wear shoes, I need them to be comfortable for the entire day. The first thing I noticed is how cushioned these socks are. They just seem like they will be very comfortable. They are labeled for the right and left foot, strange at first until I realized that they are designed to fit the difference in each foot. That’s pretty clever, but also helps them to fit very nicely, as if they were made specifically for my foot. They are indeed very comfortable, due to the design and the cushioning. So why silver? I know that silver is used in other applications for its anti-bacterial and anti-fungal properties. Interestingly, these socks use that ability of silver to protect feet from bacteria and fungus that can create soreness, odors, and problems. Again, quite a smart solution to the difficult issues. They also wick away moisture. They fit well, are extremely comfortable (even for the person preferring barefoot lifestyle) keep my feet dry and protect my feet from bacteria and its associated odors and foot problems. The only issue that I can find with them is the price, but when you factor in the quality and health properties, it’s easy to rationalize paying a bit more for these socks. Hopefully, they will become available in a quantity discount multi-pack soon!